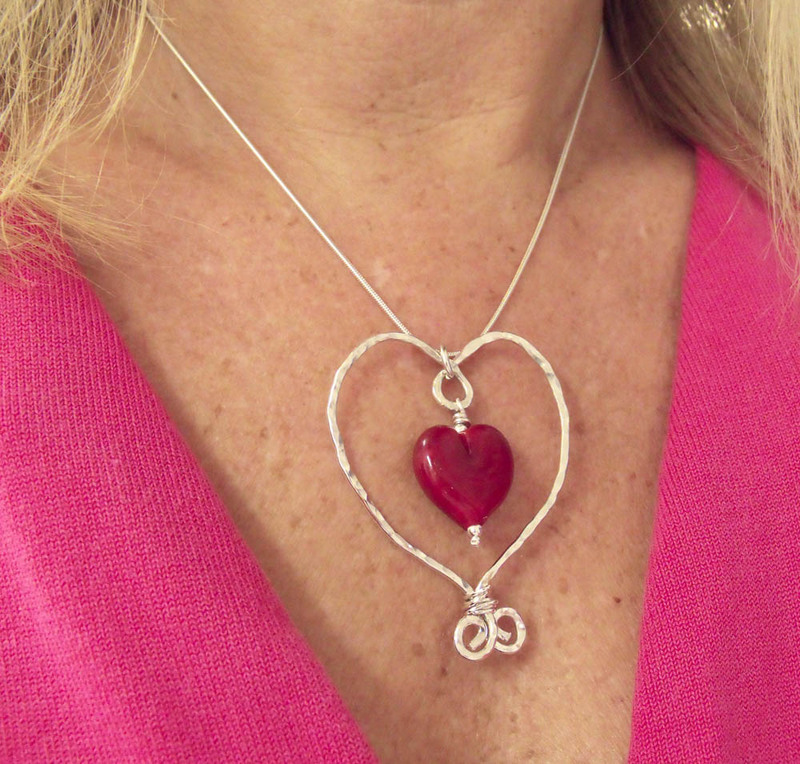 Day 12 of my 30 Days – 30 New Pieces of Jewelry challenge!!! As I was grocery shopping this morning I came across a whole aisle of heart shaped chocolates and realized that Valentines Day is almost here! I’ve been so busy dreaming up new ideas I didn’t realize the date! So here’s an early Valentines necklace. This entry was posted in glass, jewelry. Bookmark the permalink.